We are so excited to share the motion piece we created for Let's Camp at Camp Wandawega. Be sure to check out the links below for all the creative and inspiring women who helped make Let's Camp so wonderful. And don't forget to read Part 1 and Part 2 featuring interviews with Mandy Lancia and Nikki Ricks about how the idea for Let's Camp came about and what their day-to-days look like outside of camp. 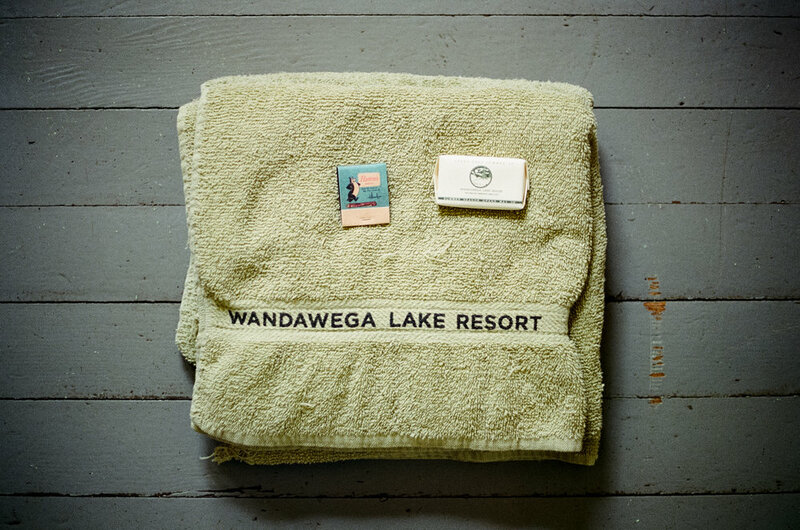 We are still reveling in our experience from Let's Camp at Camp Wandawega. What an incredible weekend surrounded by 60 creative and inspiring women from all over the states! We talked business, networking, creative practices, stories, and the importance of self-care. There was karaoke, hikes in the woods, swimming in the lake, and an incredible bonfire with delectable s'mores from the James Beard award winning pastry chef, Mindy Segal. Check out our interviews with Mandy Lancia (of the Glossary) and Nikki Ricks (of Feminest) about how they began Let's Camp and their other passions that help make this retreat possible. And be sure to check back for Part 3 where we'll share the motion footage we captured while at camp. How did the two of you meet and start collaborating? Nikki: I reached out to Mandy and we grabbed coffee. I felt like we both had similar missions in helping creative women thrive! Mandy: Nikki reached out first and asked to meet for coffee. At one of our meetings at Caffe Streets, she mentioned that she wanted to collaborate on a retreat. Since we were both working with women in different capacities, we thought it would be a great idea to team up and bring both of our communities together. How did the idea for Let's Camp come about? How did you decide to host Let's Camp in Wisconsin at Camp Wandawega? Nikki: I had been wanting to do a retreat and had always been a fan of Camp Wandawega — and we I saw that Mandy had interviewed Tereasa — I knew we could do something great together. It's kind of a "give". Tereasa and David have really created something special up there. I know I always wanted to grab a group of friends to go up and it just spiraled from there! Mandy: When thinking of the idea for a retreat, Camp Wandawega was out first option of where we wanted to host it. I had interviewed Tereasa previously, so we felt like we could make it happen there and that Camp Wandawega would be welcoming to a group of creative women. We really wanted to structure an event that combined learning with relaxation, and with most of our contacts in Chicago and the midwest area, Elkhorn was an easy escape from the city. How do you decide what specific topics are important to you to include for a weekend retreat like this? Nikki: We had a mix of people telling us what they wanted and just from the work we do with women creatives we know what would interest them! Mandy: We went into planning our first retreat with the concept that it would be for creative women entrepreneurs. So from there, we thought about what we would want to learn as an attendee and what the other female business owners in our lives had told us that they were either struggling with or wanted to learn more about. We want the programming to cover more logistical aspects of running a creative business, as well as the emotional aspects. Through workshops and group discussions, we have been able to bring on some amazing women to collaborate with over the course of the weekend. Nikki: Ice cream and feelings. It's an open mic night on the last night of camp and it's incredible how close people come together and what powerful answers women have to the question "what I know to be true". Mandy: Ice Cream + Feelings is kind of the best. We've done it both years and it is such a highlight. By Saturday night, people are feeling much more comfortable with one another. They have spent a full day together, shared meals, shared sleeping spaces, and now they are really open to be vulnerable. After our group dinner, we have ice cream and a microphone where people can share some of their feelings. We prompt the women with the question "What I know to be true..." which allows for very open ended responses. At first it can be really scary to stand in front of a large group with a microphone, but once people allow themselves to be vulnerable, everyone else follows. People head up to the mic one after another and share. They share their experiences or advice or struggles or breakthroughs. We cry. We laugh. We continue to shove our faces with ice cream. It's just a really beautiful experience. What are your goals for the participants who come to Let's Camp / what do you hope they ultimately take away from their experience? Nikki: My heart sings when I see women get together after camp, stay friends, and do business collaborations. This happened a ton, and I can't tell you how happy it makes me. Mandy: I really want people to feel supported, seen, and heard. I think that the programming is great, but I really think the most important part of the weekend is the relationships that are made. People let their guards down pretty quickly when they're at camp, which allows for friendships to form more rapidly (nobody is judging you when you're covered in sweat, dirt, and bug spray since everyone is covered in sweat, dirt, and bug spray). 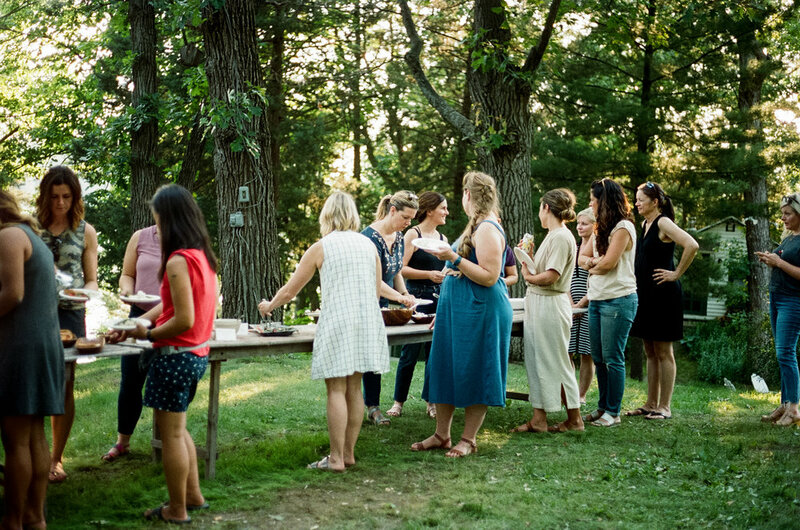 I hope that everyone that comes to camp leaves feeling supported by all of the women, connected to new friends and collaborators, and inspired to go back to their businesses. Do you have plans of expanding Let's Camp to other cities? Mandy: At the moment, no. I don't really think that Let's Camp can fully exist outside of the grounds of Camp Wandawega. With that being said, that doesn't mean other retreats of different names and types won't happen in different cities. In terms of The Glossary, we have hosted different retreats of varying sizes and do have plans to lead new retreats in different cities. How long have you been a Creative Consultant? I started officially September 2015! When did the idea for Feminest come about? I had started a coworking and childcare event service and I realized I had such a love of entrepreneurship. I loved hearing women talk about what they do for work and their aspirations and realized that I knew I thing or two and could help them. You recently moved to Australia — what's it like working with clients across the world? It's so rewarding and so hard. The Australian women I've met so far have been so warm and open. But I've also realized it's going to take some time to build up the community I had in Chicago. What kinds of services and resources do you provide through Feminest? I offer events, like the Let's Camp weekend, workshops, e-courses, mastermind, and 1:1's. Helping women set scary goals and achieve them. Seriously I see this time and time again and it's so incredibly rewarding and powerful! Connect with Nikki on Instagram and Twitter. When and how did the idea for the Glossary come about? I have always loved connecting creative women. It is one of the things that I actually feel like I am good at. When I moved from Boston to Chicago, I wanted a way to meet new ladies, as well as finding a way to support them. When I started The Glossary, it very quickly grew from simply an online platform to a real life community. I love the idea that women can learn from and support one another in an online space, especially since you can reach so many more people from different backgrounds and locations online, but then they can also meet them in person through the events that we do in Chicago and in other cities. 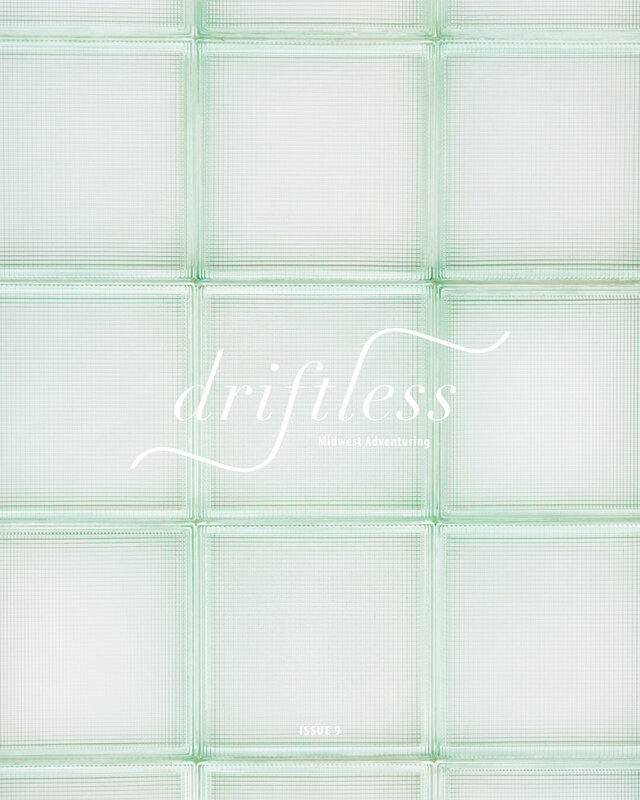 I have always wanted The Glossary to be a space that feels personal to everyone. It's not my platform, it's everyone's platform and that has created such an incredible passion and community surrounding it. How do you decide who to interview and showcase? The only "requirement" for interviews is that it's a creative woman. They can be in any creative field in any location. I use Instagram a ton to find really incredible women, but it's also nice to get recommendations from people I know and women that are mentioned within the interviews. I always ask my interviewee "who are some creative women that inspire you?" so that ends up giving me more people to reach out to and connect with. I very much encourage the women that I chat with to be vulnerable and honest with their interviews. I think a lot of time an interview can be seen as just press so run of the mill answers may be given, but with the community that surrounds The Glossary, people feel more comfortable to share the good and the bad (and sometimes the really difficult). How do you decide what cities to host retreats and events? At the moment, it has just been cities that I have friends or family in or cities that I can easily drive to. I'm working of figuring out how to expand to all of the cities that have been requested, but traveling to host events is a large cost when the events themselves aren't huge money makers. Besides the logistical side of getting to cities, I also want to be able to bring The Glossary to cities that don't have a lot of or any community based events that bring women together. When I have done events in smaller cities where women are really in need of a community it has been so rewarding for everyone involved. What does it mean to become a Glossary Ambassador? The Ambassador Program was a way to get more people involved with the daily runnings of The Glossary. At the moment, this is a one woman behind the scenes show in terms of actually generating and producing all that The Glossary has to offer. I wanted more people to feel consistently involved, especially those outside of Chicago. It is still a work in progress of how I want this program to work, but I currently have about 15 women from around the country that help suggest people for interviews and send me content for stories. They are also my point people for when I am traveling to their cities. I am definitely wanting to restructure the ambassadorship a bit so that it is really more consistent and that is something I will be taking a look at in the near future. What's your favorite part of running The Glossary? The connection. 100%. A lot of the time I am extremely stressed or questioning myself, but once I hear that something I planned or an interview I posted touched someone or formed a new relationship, it's all worth it. The friendships and collaborations that I have watched develop over the past year are beyond incredible and I couldn't ask for anything more. Connect with Mandy on Instagram, Twitter, and Facebook.